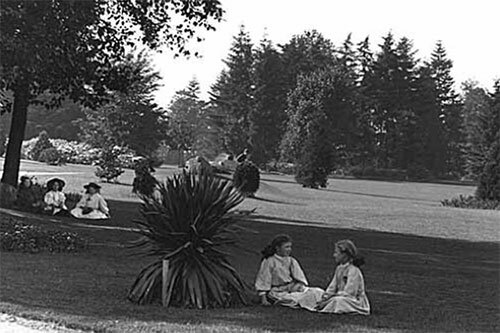 Volunteer Park, circa 1912. Courtesy Museum of History & Industry. How Did Transportation and Other Technology Create Changes? Students will trace the population growth and the development of transportation options in the Lake Washington area using maps, graphs, and online resources. Students will compare and contrast how the lives of those living in this region have been affected by the advancement in transportation technology. 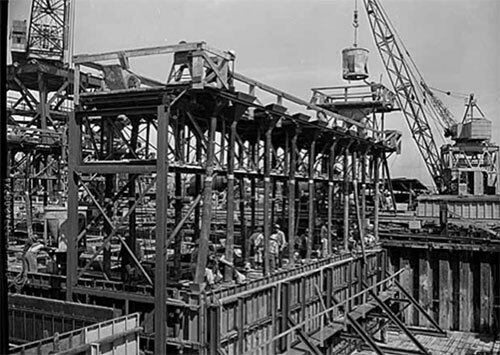 Evergreen Point Bridge pontoons under construction, Seattle, May 1961. Courtesy Museum of History & Industry. How Can Citizens Work to Address the Challenges Facing Our State Today? 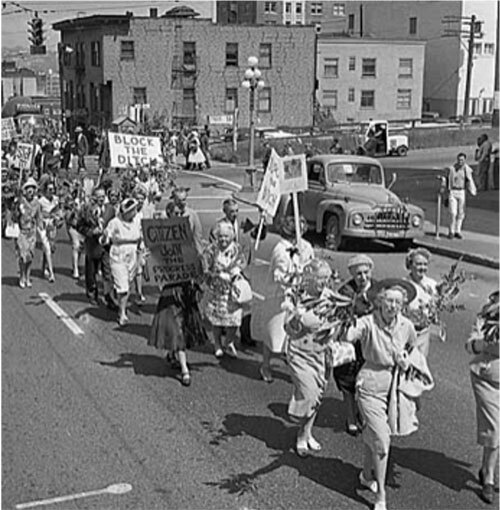 Protestors march across Spring Street demonstrating opposition to freeway construction, Seattle, June 1961 Courtesy Museum of History & Industry.